Wondering what's on in Lofoten during the dark winter months? 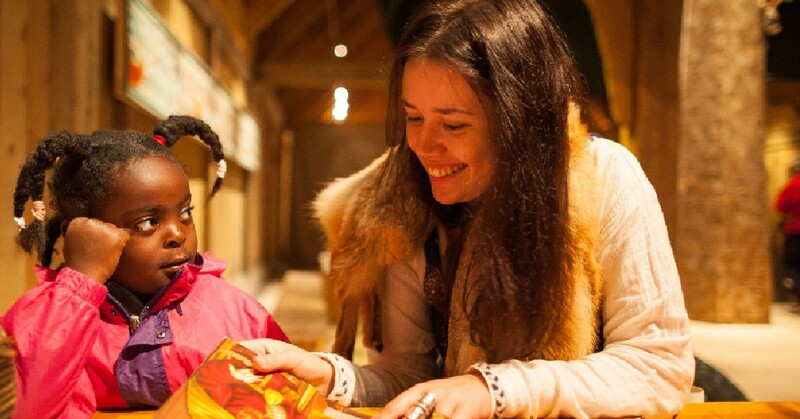 At Lofotr Vikingmuseum we have many Saturdays where we offer extra activities for children during autumn, winter, and spring. And on the rest of those Saturdays local Viking age enthusiasts organized in something called a "Vikinglag" have their gatherings in the longhouse. Saturday 9th of Feb: "Journey through the longhouse"
Let the runes guide you through a journey of times. By following the letters of the Viking age, through the Viking chieftain longhouse, the children learn about textiles and other materials that can be used for furniture, machines and other. Was it as simple then as now when something broke? Could we learn from the Vikings in their way of choosing materials that allow for repairs? - was one of the really big board games in Northern Europe. It was particularly popular in Scandinavia around the Viking age. The game is about a King who is attacked in his castle. Saturday 23rd of February: Make your own Rune-pendant. We paint amulets with rune-symbols and colors of your choice and make a beautiful pendant for you to take home. One of the local Viking club associations gather in the Viking Chieftains longhouse and work their crafts and activities. They are happy to share their knowledge and you are welcome to engage with them. The Children's Saturdays with the Vikings are specially arranged for the younger ones but all of the family is welcome in the games, too. Join us for a day with Hnefatafl, see the exhibition halls, visit the museum gift shop and enjoy a museum where it is allowed to touch and feel objects, try on helmets and clothes and talk with the Vikings. Take in the atmosphere of the Viking age and travel more than 1000 years back in time. The activity is conducted in Norwegian but we will try to adapt to English or other, if necessary, to make it fun for all children. Find more activities in our seasonal program. The archaeological exhibition halls and the museum gift shop is open, too. Welcome!